7 Marathons, 7 Continents, 7 Days — Mike Wardian Hits Sydney Hard & Fast. 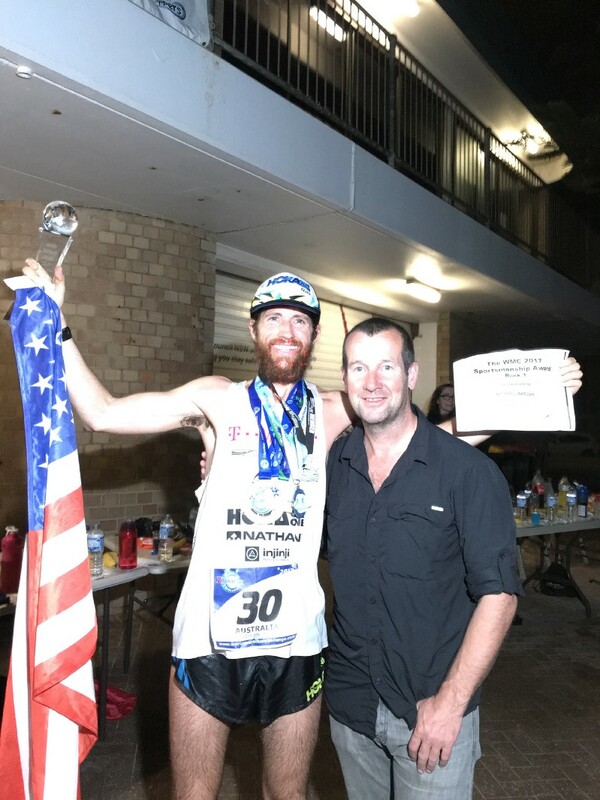 Home » 7 Marathons, 7 Continents, 7 Days — Mike Wardian Hits Sydney Hard & Fast. Michael Wardian, HOKA ONE ONE athlete and champion marathoner/ ultramarathoner/ trailrunner/ roadrunner was in Manly on Sydney’s northern beaches toward the end of January for an exceptionally special run. It was the final leg of the World Marathon Challenge — 7 Marathons on 7 Continents in 7 Days. 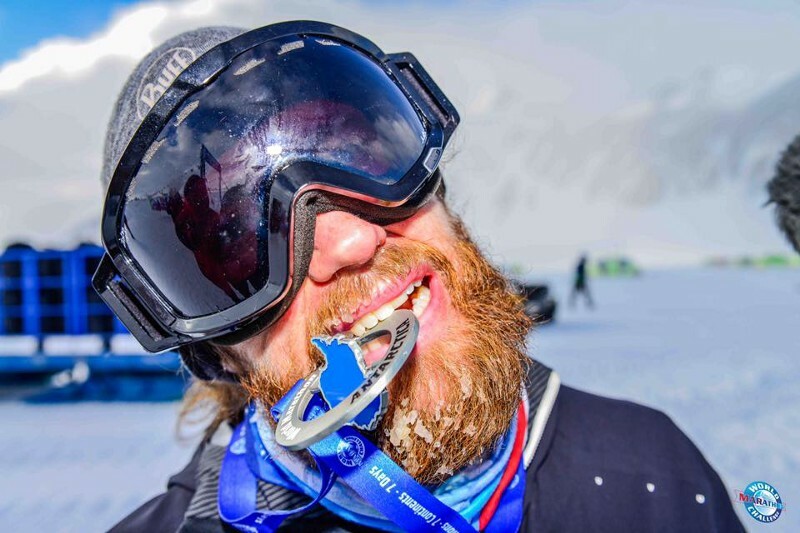 Starting the week with a snowbeard and a 2:50 marathon in Antarctica. With over 250km already in his legs for the week, jetlagged and late after refuelling delays in Jakarta, Wardian was still a blur. 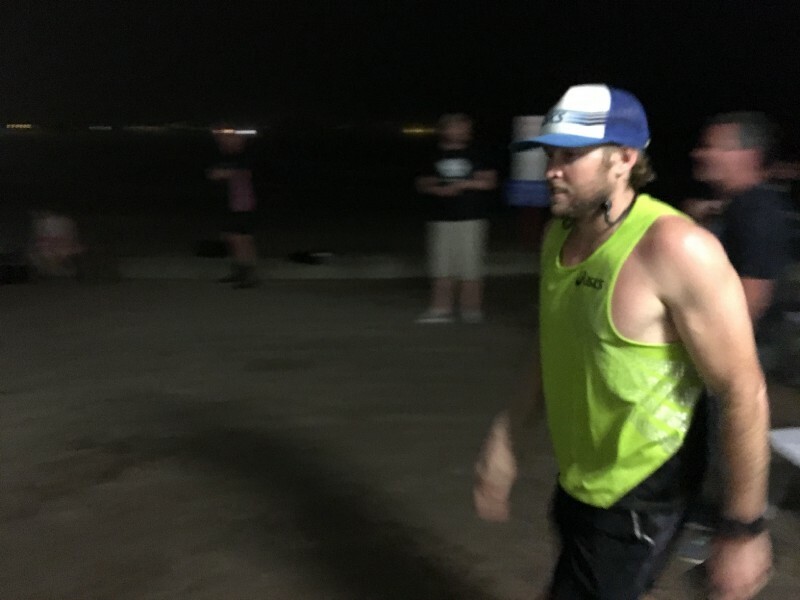 Starting his run at 1:20am he flew between and past the other 35 competitors taking on this epic feat of resilience and endurance. Running up and down for a total of 26 lengths of the boardwalk, athletes were in varied and changing states of fatigue. Some seemed to move strongly and with self-assurance, others clearly fought pain and personal demons. Ryan Hall and his shoulders push on through the hurt. Ryan Hall, the only American marathoner to ever run sub-2:05, ground his way up and down The Corso under intermittent lights in the dark. At 60% above his Olympic race weight, Hall now looks more like a cage fighter than a distance runner. Having built his strength and his body during time out from running, Hall wanted to take on this brutal feat of endurance as the most fitting way that he could say goodbye to the marathon. He had started the week running just over 3 hours in Antarctica. He was finishing the week in Sydney clearly in pain but without a murmur of complaint. Instead, he just smiled and pushed on, saying that he was exactly where he wanted to be and had everything he needed. Speaking beforehand, he revealed that the green ASICS singlet he was wearing for this final run was the same that he had worn when he debuted at 2:08 in London in 2007. An emotional finish also for brain cancer survivor BethAnn Telford. He would run some of these shoulder to shoulder with his friend Hall. Clearly the two had developed a real affection for each other during the week. As much as Mike was clearly pulling for Hall to get through the pain of 4 hours pounding concrete, the Olympian had also clearly been impressed by Wardian’s grit. Mike Wardian with an equally fatigued race director, Richard Donovan. “I’m here getting this done, and this has gotta be the longest day ever,” said Hall, “but this guy has been going to the well every day.” Having just seen how deep Wardian was going when he went to the well, it was astonishing to think that this was how fast he had been running every day. 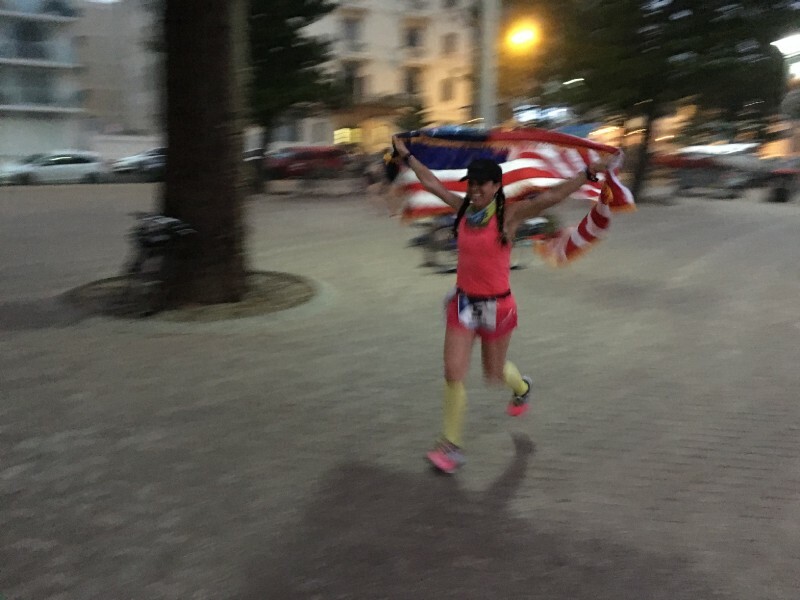 Mike Wardian’s Week of Global Marathoning: the week in review.